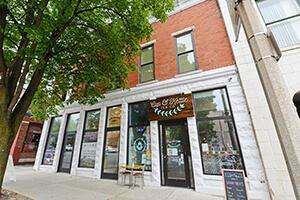 CFC Properties has dedicated space throughout Bloomington, IN. This large, two-story office building has 11 private offices, an open work space, a full kitchen and conference rooms. The second floor is a large open space with a small kitchenette. Additional storage space is available in the lower level. Ample surface parking available, including curbside for visitors and one handicapped space. As the former home to the Showers Brothers Furniture Factory, this saw-toothed brick building has been an important Bloomington landmark for over 80 years. Renovated in 1995, the Showers Plaza is a 64,000 square foot, two-story office building with two atriums, multiple skylights, and on-site parking. 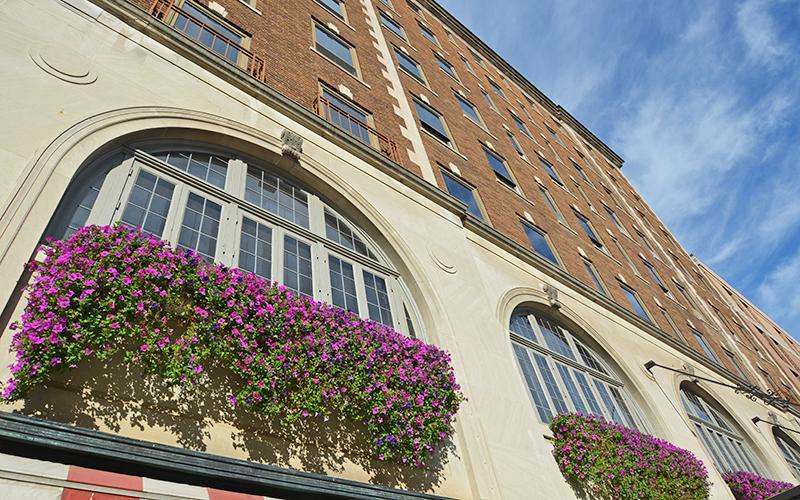 Originally built in 1925 as a Masonic Temple (without windows), CFC Properties renovated the One City Centre building in the early 1990s. Today, the building features a prominent four-story atrium lobby with glass balconies and multiple private offices. 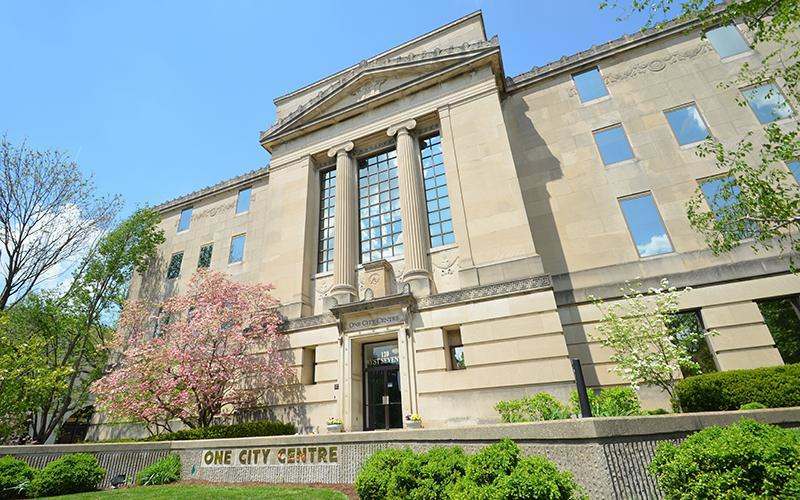 Located in the Bloomington Courthouse Square Historic District, the property is adjacent to the Justice Center and near downtown restaurants and shops. Formerly the Graham Plaza Hotel, this beautiful building was renovated in 1979 and has since remained one of the most desirable office and retail locations in downtown Bloomington. The eight-story building, which offers two classic elevators and large and small offices, is located adjacent to a public parking garage. Lobby and multiple bathrooms were renovated in 2015! 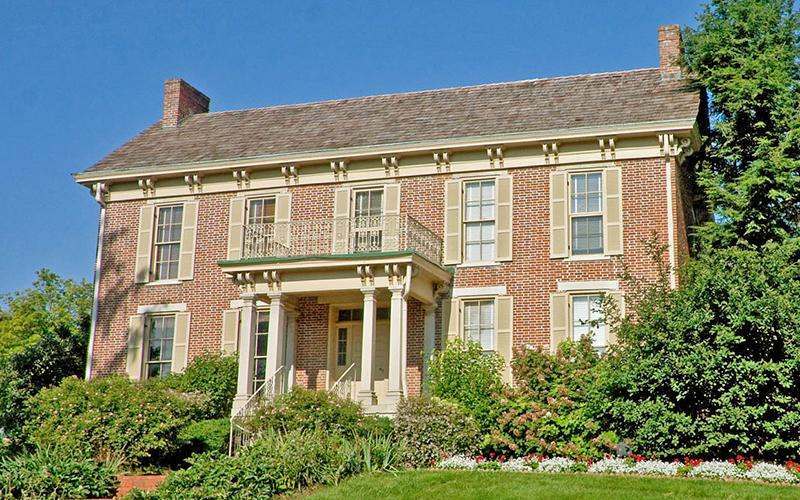 This historic house, located in downtown Bloomington, was built in 1850 and renovated in 1976. 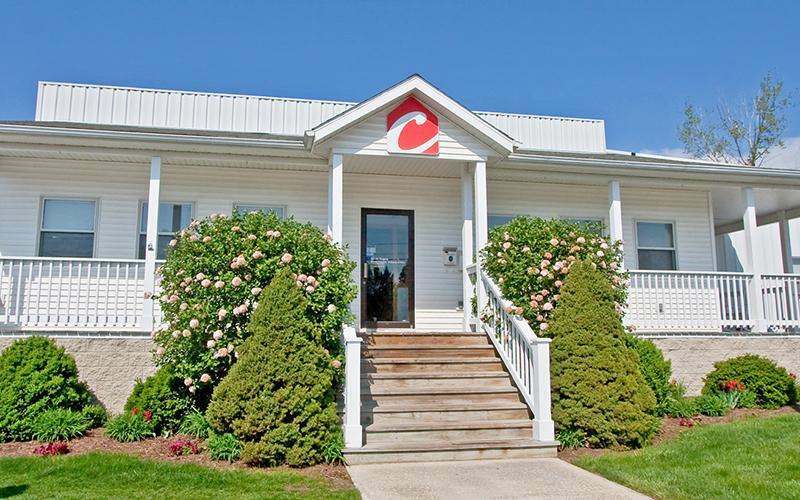 This prestigious two-story house is beautifully landscaped and now serves as corporate office. The property features 6,447 square feet of leasable space, private parking, kitchen, shower, and generous storage. The anchor project in revitalizing downtown Bloomington in the 1980s, Fountain Square was created by CFC Properties in 1988 when ten buildings were restored and connected to each other, resulting in a beautiful, multi-purpose building with over 93,000 square feet of leasable space for restaurant, retail and office uses. Renovated in 2008, this Class A office building is located on Bloomington’s historic downtown square. 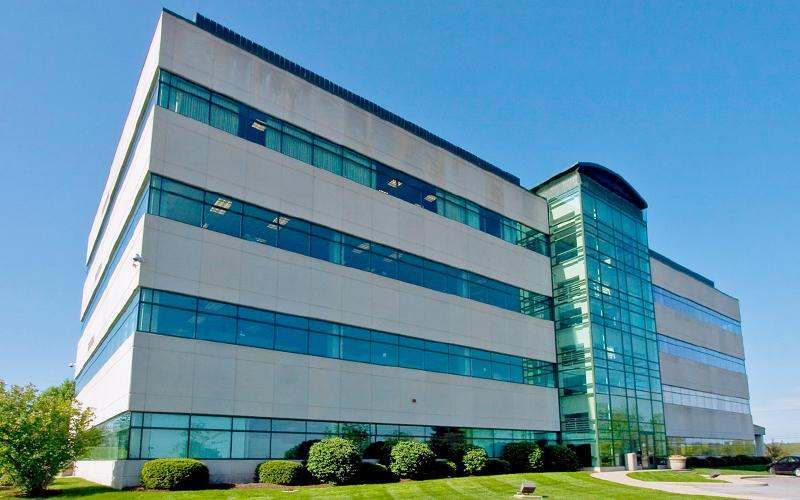 It offers 30,000 square feet of leasable, small and large office spaces over two floors. The building also offers a lower-level parking garage with limited availability for tenants and guests. The Wicks Building is located on Bloomington’s historic courthouse square and listed on the National Register of Historic Places. 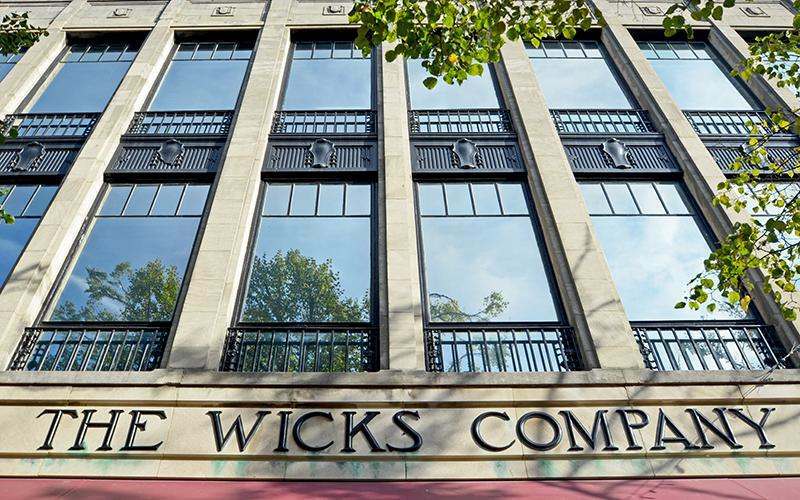 Originally constructed in 1915, the main level was renovated in 1995 followed by a full renovation of the 2nd and 3rd floors in 2014, making the Wicks Building a premier retail and office location. The Madison/Morton Building has a stone-and-wood exterior and a large outdoor patio. This property features over 12,000 square feet and three private parking lots. Located just north of W. 2nd Street, this property is located adjacent to the B-Line Trail. 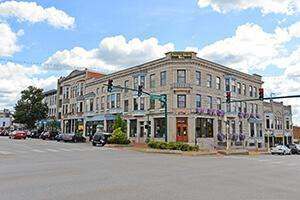 Constructed in 1929 and renovated in 1985, with additional investments in 2015, the Uptown Plaza is part of the Bloomington Courthouse Square Historic District. This building features office and retail space ranging from 300 to 6,000 square feet over three floors. Located in Bloomington’s technology park, this building is ideal for office, laboratory, warehouse or light assembly. The property is adjacent to the B-Line Trail and features loading docks, two overhead doors and 20 foot ceilings. The parking lot provides ample parking for your employees and visitors. The Historic Faris Building, located within the Bloomington Courthouse Square Historic Distict, was renovated in 2008 and features prime downtown office and retail space. 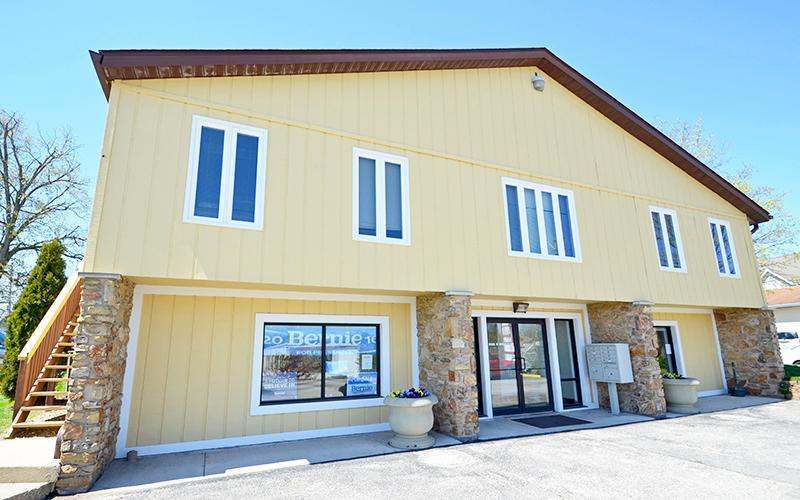 With over 5,300 square feet, this building is located one block from the Downtown Square. It is currently home to a gourmet restaurant and private offices. 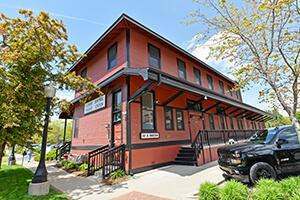 The Illinois Central Railroad Freight Depot was built in 1906, and most recently renovated by CFC Properties in 2015. 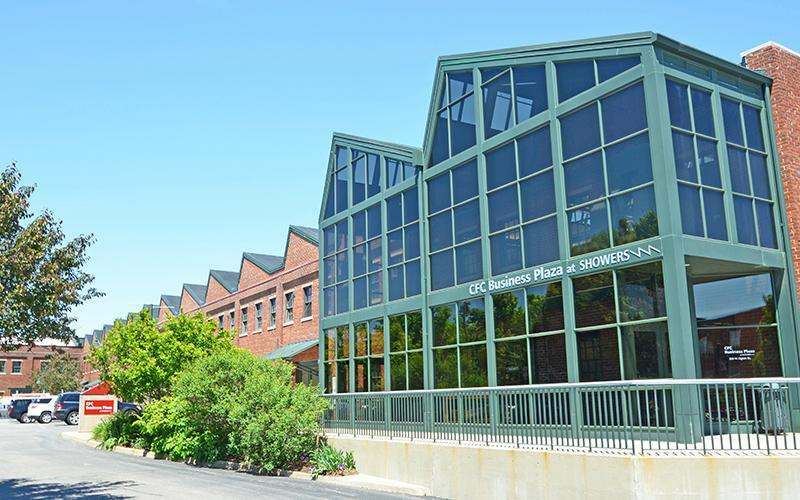 Listed on the National Register of Historic Places and in the Showers Brothers Furniture Factory Historic District, this 5,500 square foot building now provides executive and collaborative office space. 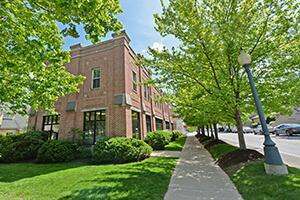 Centrally located in downtown Bloomington, this two-story all-brick building features 22,000 square feet and on-site parking. Its great location is near Showers Plaza, City Hall, and adjacent to the B-Line Trail. 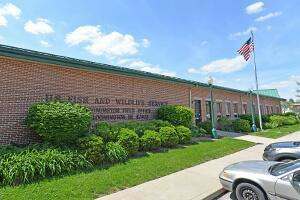 Built in 1995, this all-brick building is perfect for office or a light manufacturing use. 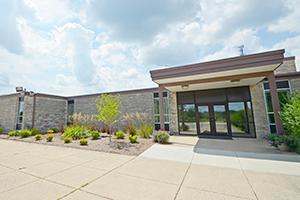 This 2,600 square foot building is located on the southwest side of Bloomington, less than 5 minutes from I69/SR 37 and the IU Health Bloomington Hospital. Located just southwest of downtown Bloomington and less than five minutes from I69/SR 37, and IU Health Bloomington Hospital, this two-story all-brick building features 22,000 square feet of office space, and on-site parking. 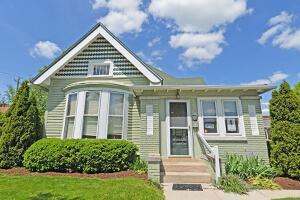 Restored in 2001, this charming house is located in just three blocks from the Bloomington\’s courthouse square, offering a great location for office or retail users. 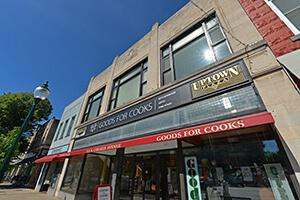 The building features more than 1,400 square feet, a large storefront bay window and private parking. 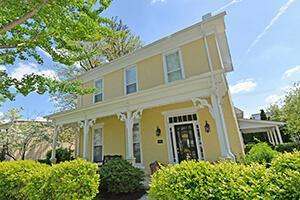 Renovated in 1998 and located just three blocks from Bloomington’s courthouse square, this historic house features over 2,500 square feet and on-site parking. This property is great for office users and provides with easy access to many businesses, restaurants and shops within a five-block area. 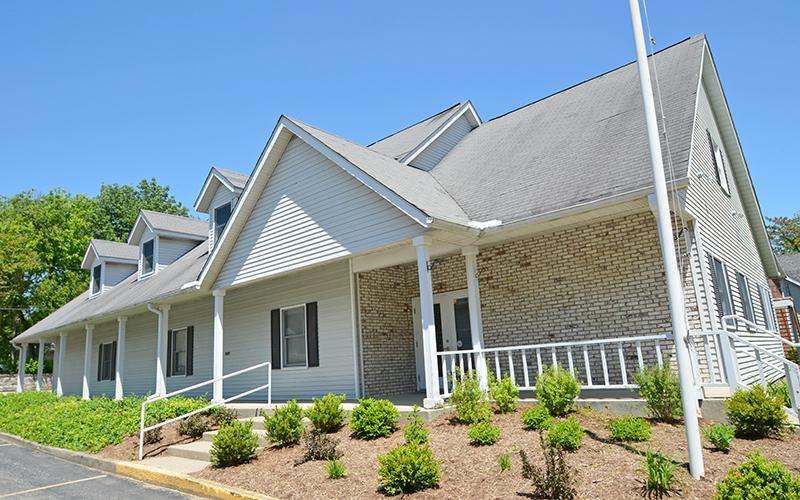 Built in 1998, this modern, all-brick building features wonderful first floor office or retail space, beautiful landscaping and both private and street parking. This building faces Rogers Street and is located just four blocks from Bloomington’s courthouse square. 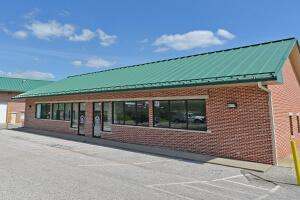 This all-brick building was built is 1993 and features office and retail space facing W. 2nd Street between downtown Bloomington and I69/SR 37. 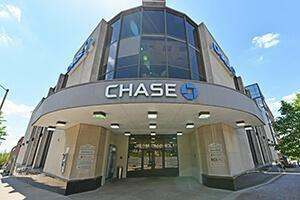 It offers more than 6,500 square feet of leasable space and on-site, shared parking. The Acuff Building is located just off Highway 37 on the North side of Bloomington. This is a Class A office building with an unparalleled list of amenities and features. 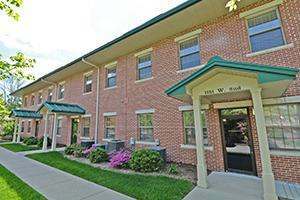 Constructed in 1995, this all-brick two-story building offers more than 2,800 square feet and ample, shared parking. It is beautifully landscaped and is located less than five minutes from downtown Bloomington, I69/SR 37 and the IU Health Bloomington Hospital. 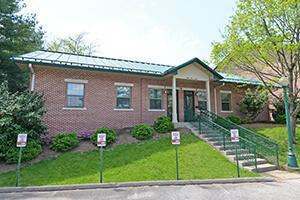 This all-brick building was constructed in 1993 and offers over 8,000 square feet of office or light assembly space. The building features on-site parking, an overhead door and a cargo lift. 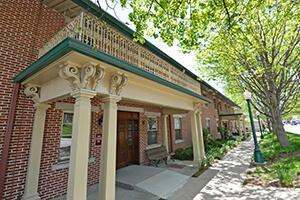 It is conveniently located less than five minutes from downtown Bloomington, I69/SR 37 and the IU Health Bloomington Hospital. 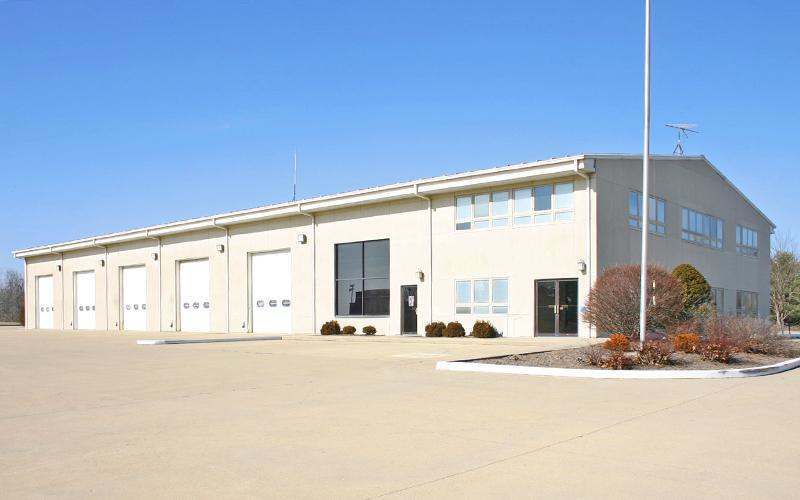 Located between Bloomington and Indianapolis and just off of I69/SR37, this building has five service bays with overhead doors, a drive-thru wash bay and full-length maintenance pit. There are six private offices, a full kitchen and restrooms with showers. This 13,615 square foot building can easily serve manufacturing, construction, or vehicle repair users. 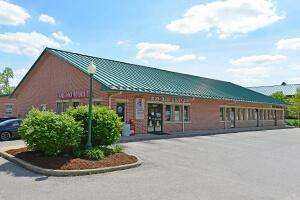 This property is ideally located between Bloomington and Indianapolis and just off of I69/SR 37. The building features 16,684 square feet of private offices, as well as laboratory and collaborative spaces. The property offers more than 18 acres with four sports fields, and a large parking lot. This fantastic building offers 10,000 SF of private office, open, collaborative space, a break-room, and a warehouse with two garage doors. 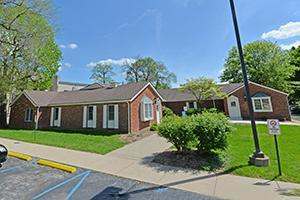 The property features on-site parking and is located on the SE corner of W. 2nd Street and S. Patterson Drive, just minutes from downtown Bloomington and I 69. 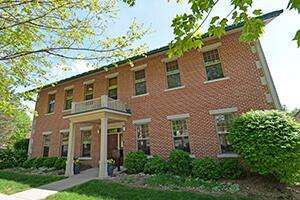 This all-brick property offers private parking and 5,250 square feet of space including a waiting room, reception area, multiple private offices, a kitchen and a large conference room. Located between the downtown and I69/SR 37.